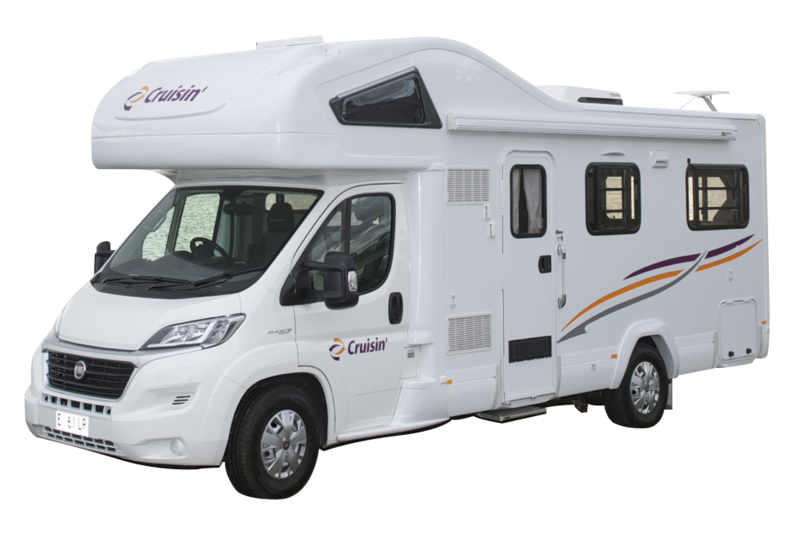 Luxury seekers should look no further than the Cruisin’ Deluxe motorhome, guaranteed under 2 years old. 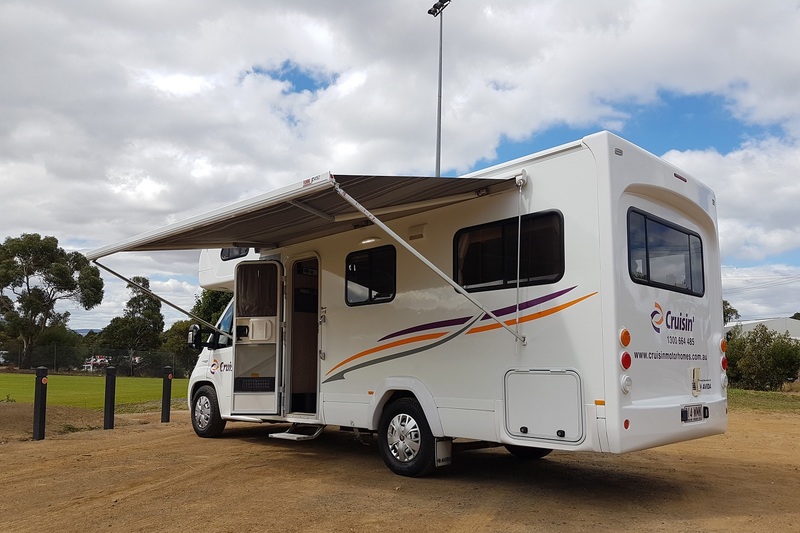 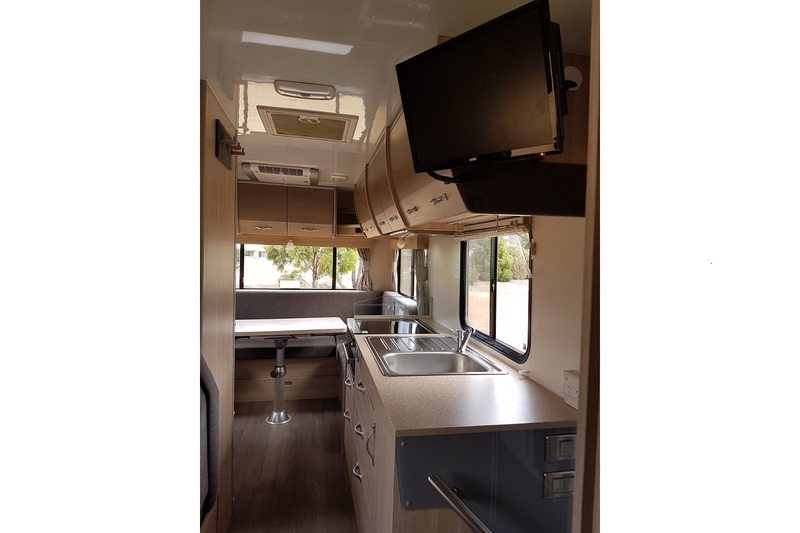 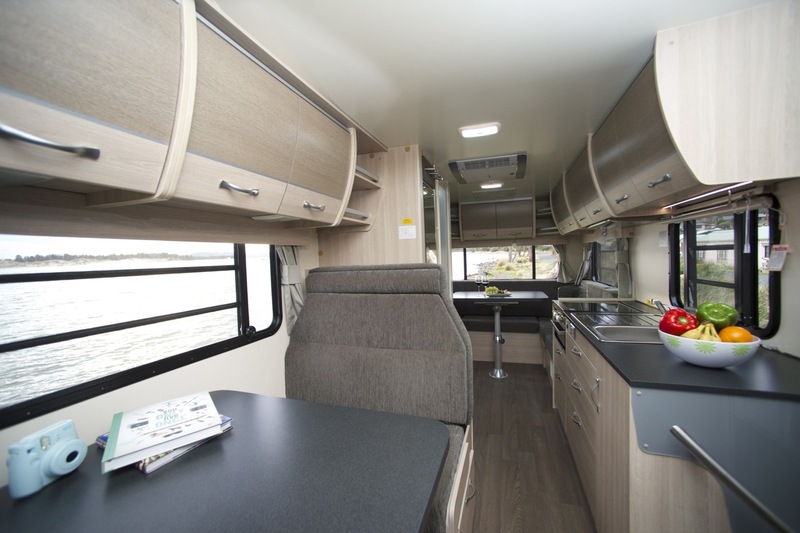 This motorhome has a cutting edge and industry-leading aesthetic ideal for those looking to experience an indulgent touring experience in Australia. 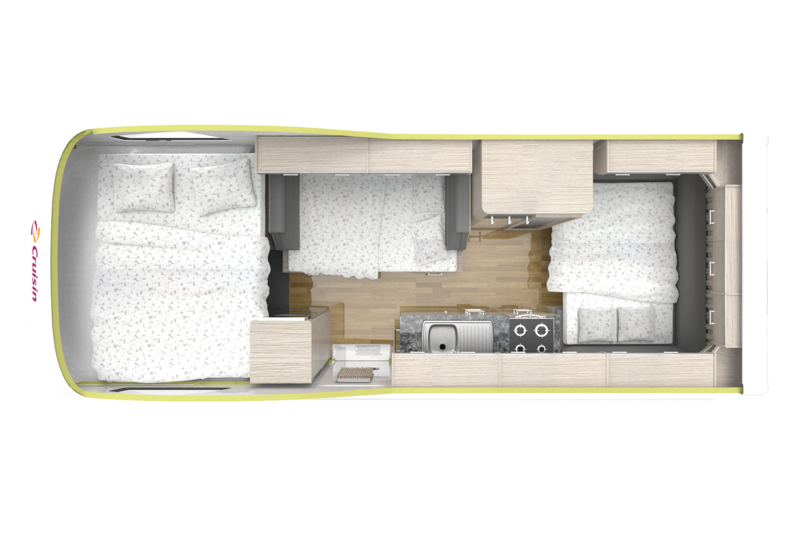 The Deluxe caters for up to 6 adults and is fully equipped with modern amenities. 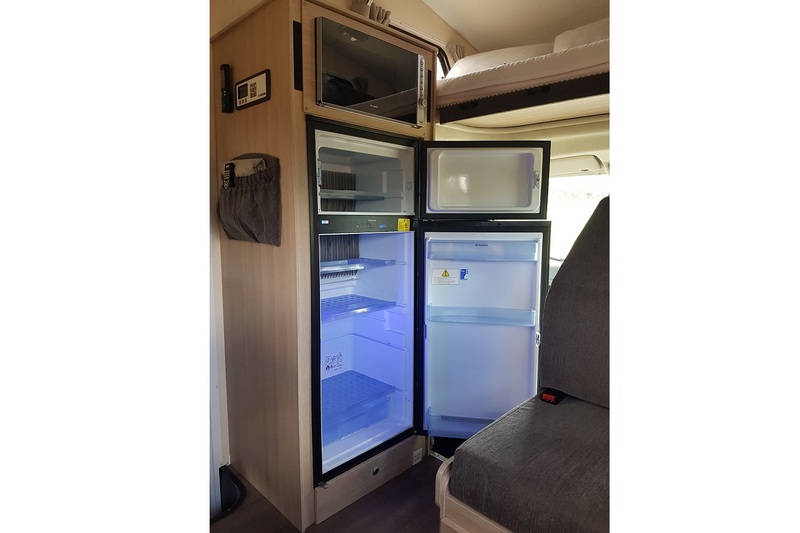 On board guests will find a 150 litre fridge ideal for stocking up on fine local produce as well as a gas stove and grill. 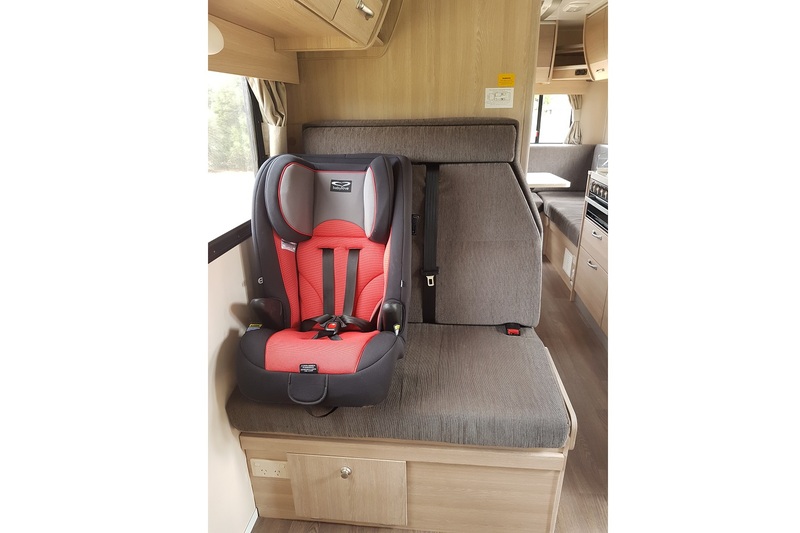 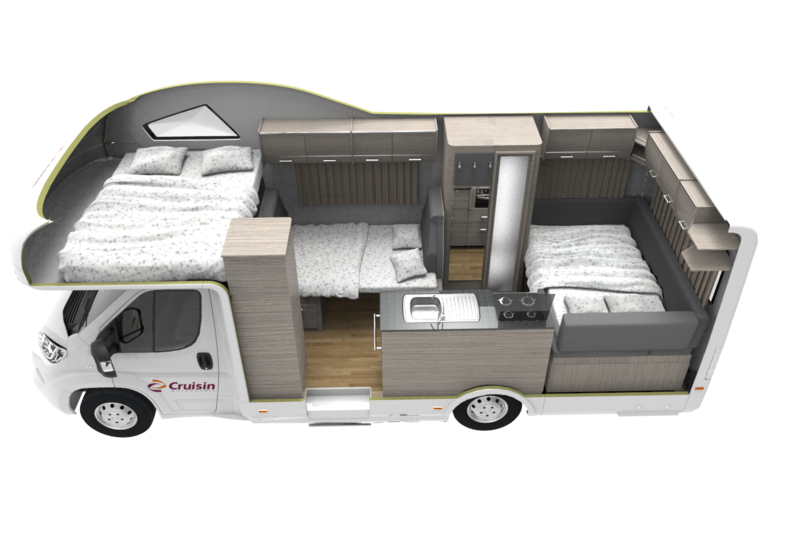 Cruisin’s newest motorhome has a spacious interior with 2 living areas and walk through access from the driver’s cabin to the main living area. 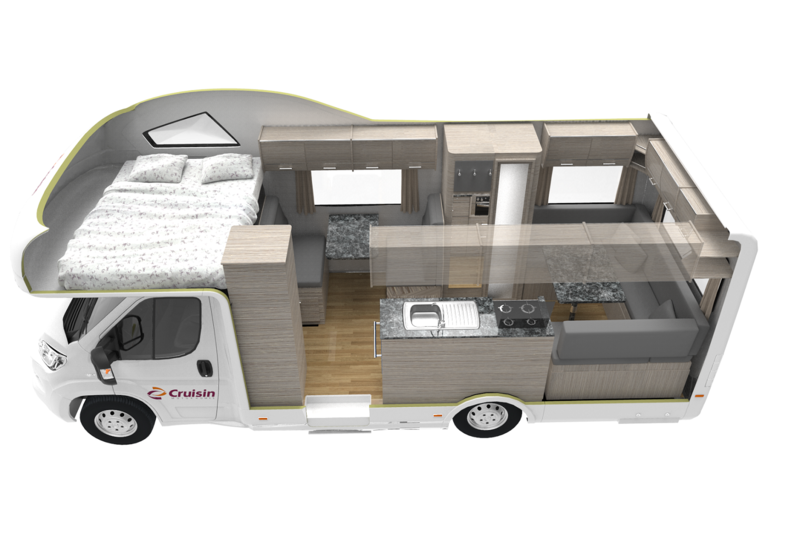 The Cruisin’ Deluxe is the ideal place to retreat to after a day of exploring the local attractions and sights. 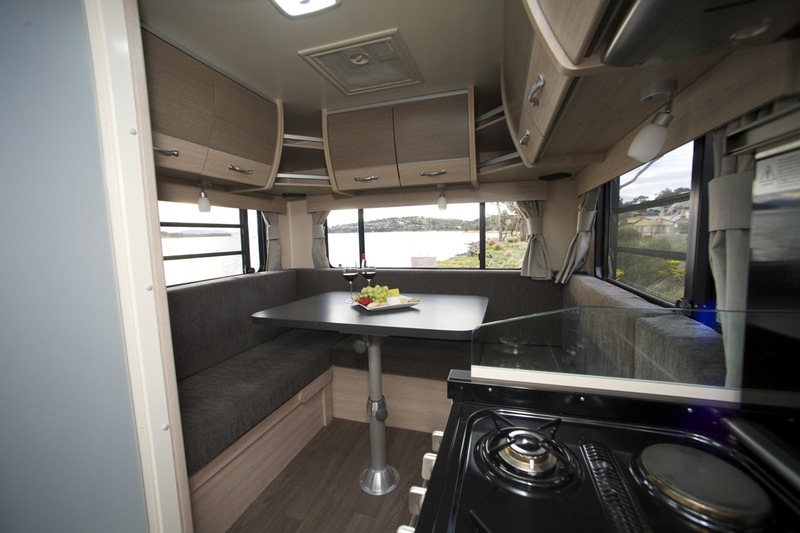 Pull up by the beach and watch the sun set through your large windows before drawing the shades. 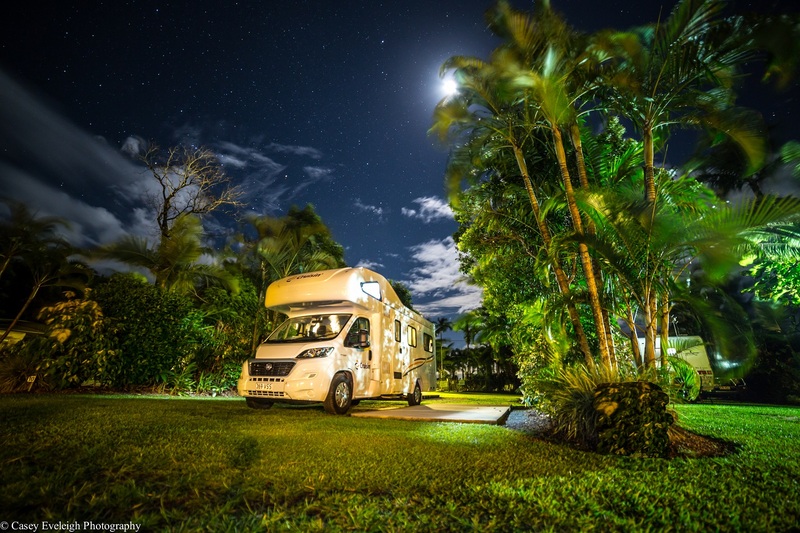 By night, the Deluxe is a quiet oasis to relax and enjoy the tranquillity of your surrounds. 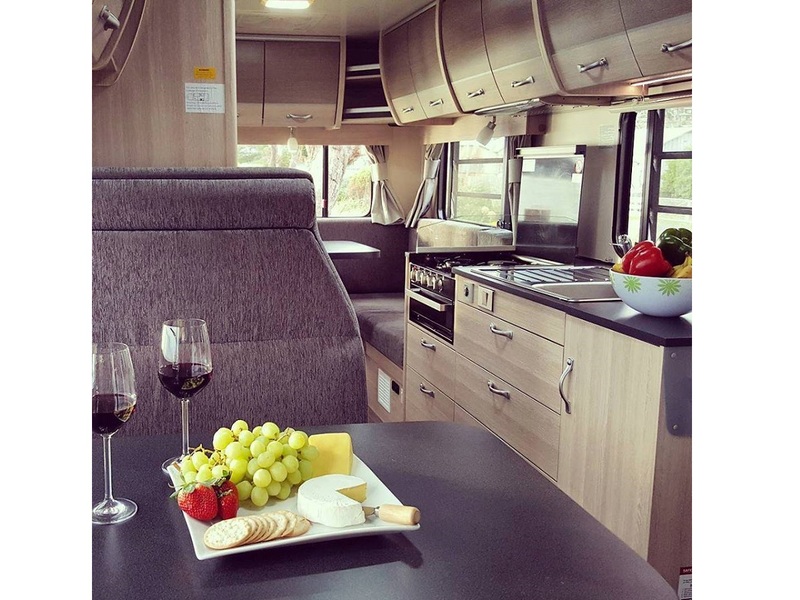 Prepare dinner at the spacious kitchen bench and enjoy it alfresco under the stars or in the comfort of your luxury accommodation on wheels. 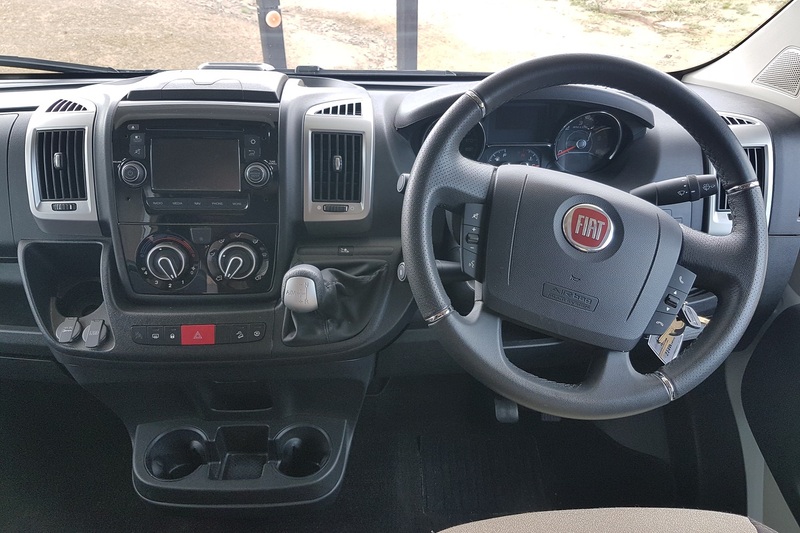 Despite its size, the Deluxe is a dream to drive with the advantage of automatic transmission, power steering and great fuel efficiency. 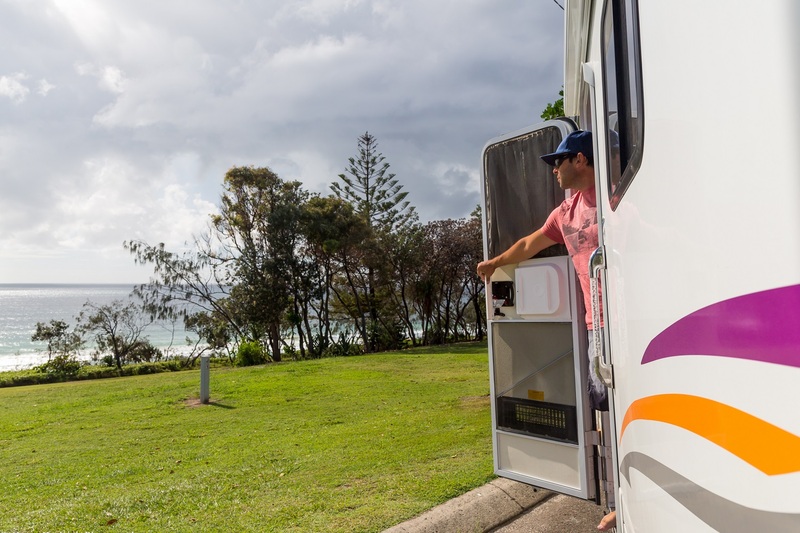 Glide down Australia’s coastal roads with confidence and ease. 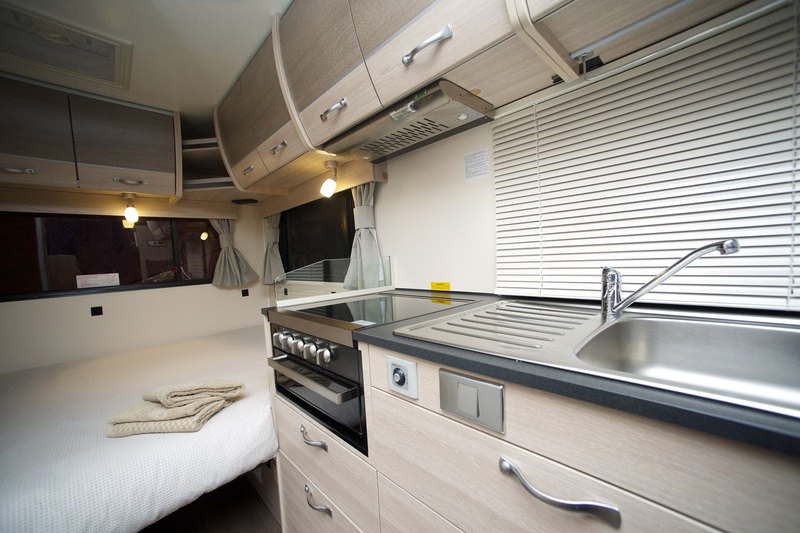 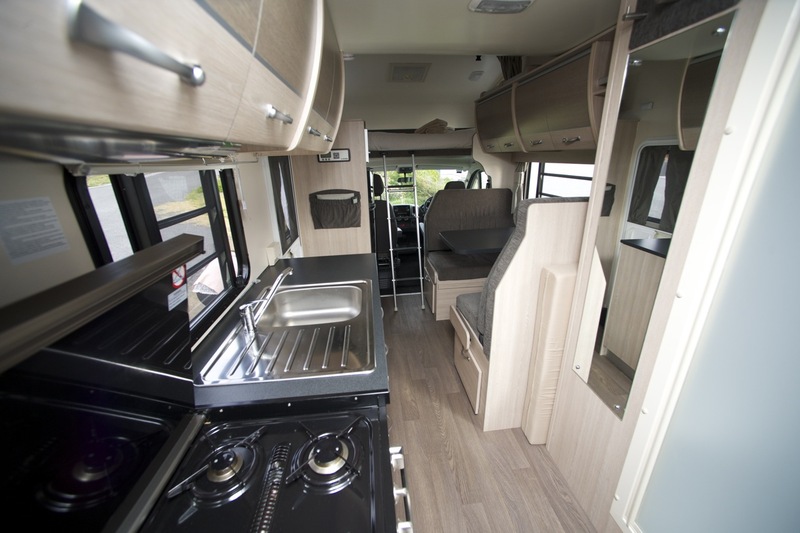 The newest fleet addition has a modern bathroom compartment with a toilet, shower and vanity unit and comes fully equipped with linen, cutlery, crockery and living appliances. 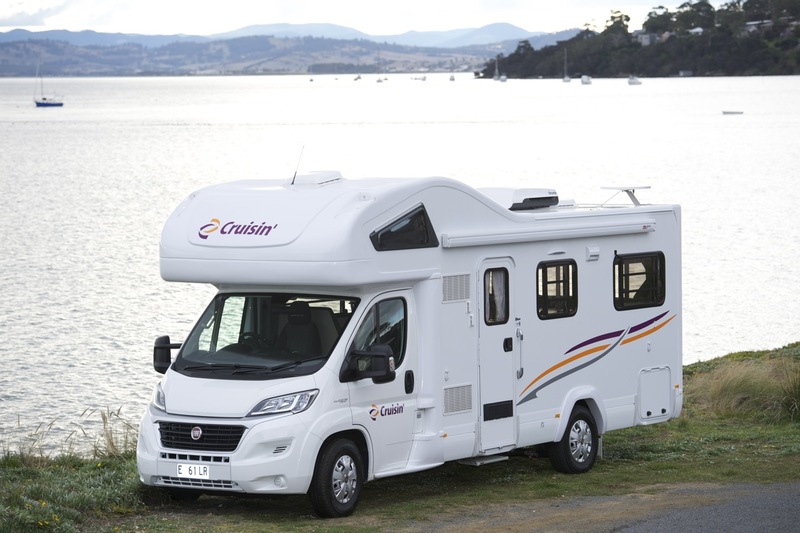 The clean and modern aesthetic of the Cruisin’ Deluxe makes for a luxurious motorhoming experience in Australia. 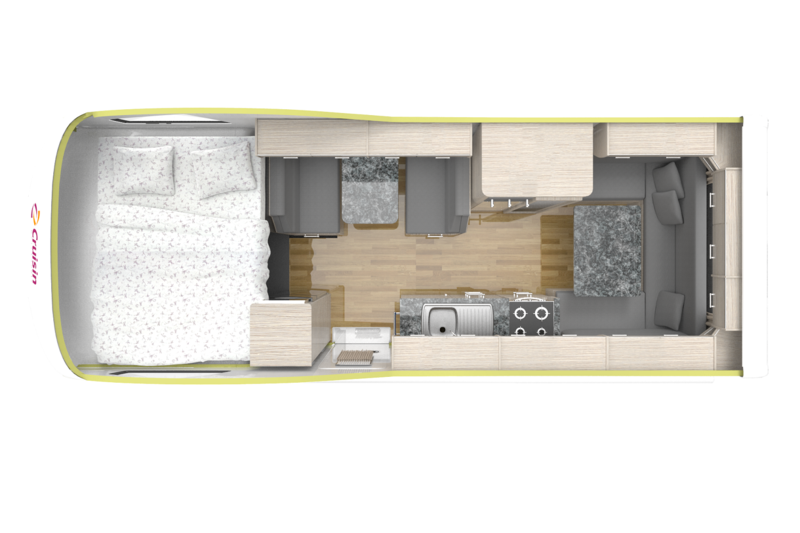 Please note: Floor Plans and vehicle specifications are subject to change without notice & may vary due to modifications & or upgrades. 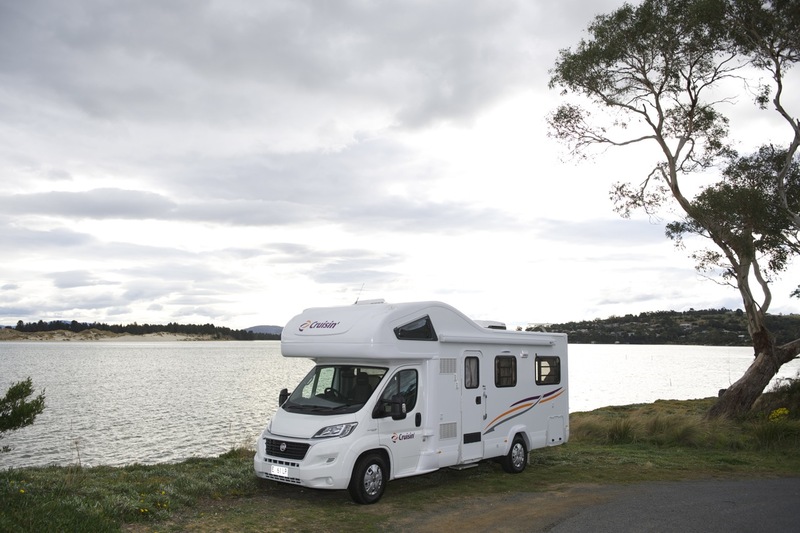 Cruisin Motorhome cannot be held liable for any such variance.